Premium barrel to barrel cable. 2.1mm plug (5.5mm outer diameter, positive tip). 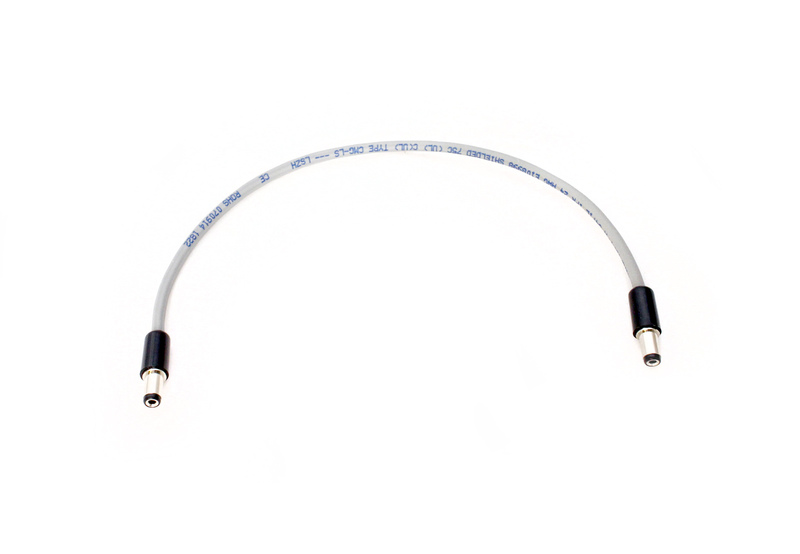 Cable is 10" long, has better shielding, and can be repaired for extended use. Suitable for daisy-chaining two adjacent Row Powers.